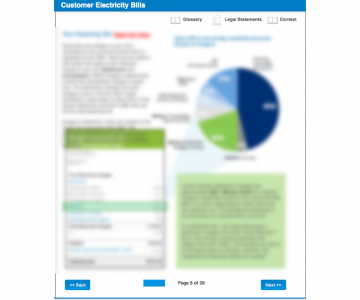 This was a customer consultation web interface which was built for a client who does customer consultation surveys for major electrical utilities. The goal of the interface was to be easy to use, visually attractive, and be flexible enough to allow data of all kinds to be entered. There were 1o of these interfaces built.